The first body shape made by Hamer in 1973. The 2017 Vector is built with a solid maple top with figured maple veneer. This ain't your daddy's flying "V" and it ain't your mama's either! The Hamer Vector will transport you right into the 21st century with its well-balanced body and classic Hamer "boomerang" inlays. Seeing is believing. Playing is believing. 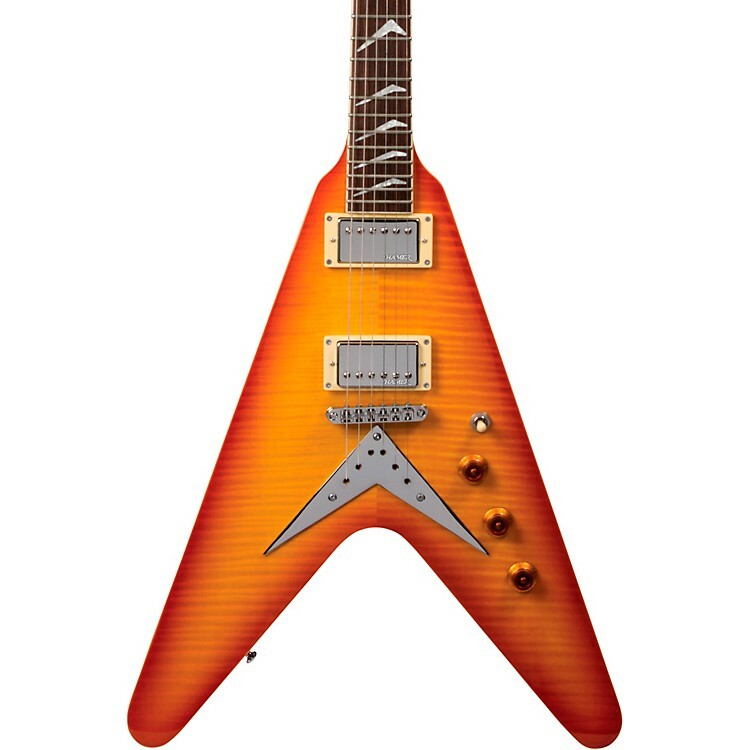 Once you pick up a Hamer Vector, there's no going back. Case sold separately. Put a Hamer in your tool chest. Order today.